According to recent studies, 81% of buyers find it “easier to visualize the property as their future home,” when the home is staged. There are numerous benefits to staging your home if you’re in the process of getting it sold to a potential buyer. Not only does your home look amazing but you also increase your chances of getting your home sold quickly and at a greater price. 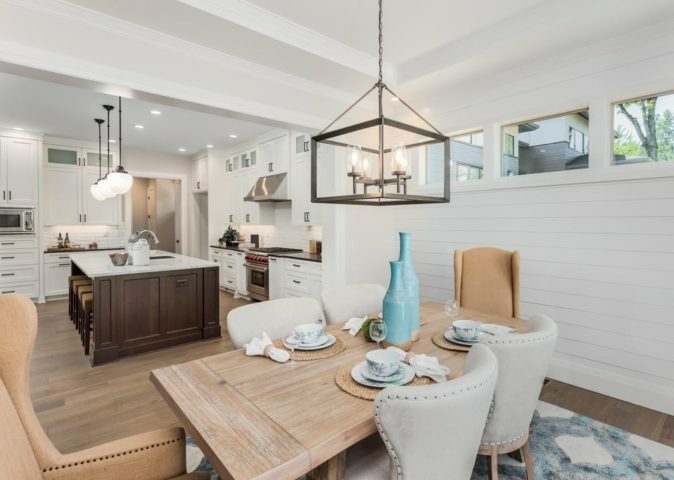 Whether if you’re looking to stage your home professionally or on your own, here are five important tips to consider when home staging for the first time. Home staging is all about showcasing your home’s most unique features. Focus on certain areas and rooms in your home that buyers will remember most. Remember, not all rooms need to be staged. Instead, focus your staging efforts into the spaces that will make the greatest impacts. It can be a major turn-off for potential buyers that see personalization during a house showing. Be sure to remove all personal photos and other decor that can be a distraction from the home. The main goal is to help your potential buyers visualize the space that they can live in. Stage your home almost like a blank canvas so they can fill in the blanks with what they have in mind. Clean, clean, clean! The last thing you want is a messy home which can be very unappealing to potential buyers. A decluttered, organized home can make your home look a lot bigger and very attractive. Like we mentioned in tip #2, create a blank canvas for your potential buyers. This also means keeping your decor fresh and neutral. Stay away from bold colors and crazy themes that can distract buyers. Be sure to keep your decor minimal and simple. Make a good first impression by making any minor repairs and patches that can turn off a buyer. Be sure to fix those nicks, scratches, holes, and other scuffs that can be unappealing. Make your home like it has been maintained properly. You can also choose to get your carpets or floor professionally cleaned as well.